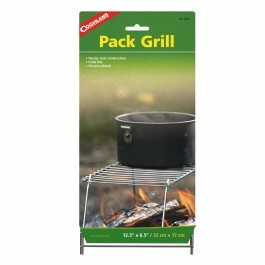 Coghlan's Pack Grill is a great addition to your any outdoor activity or prepper bag. 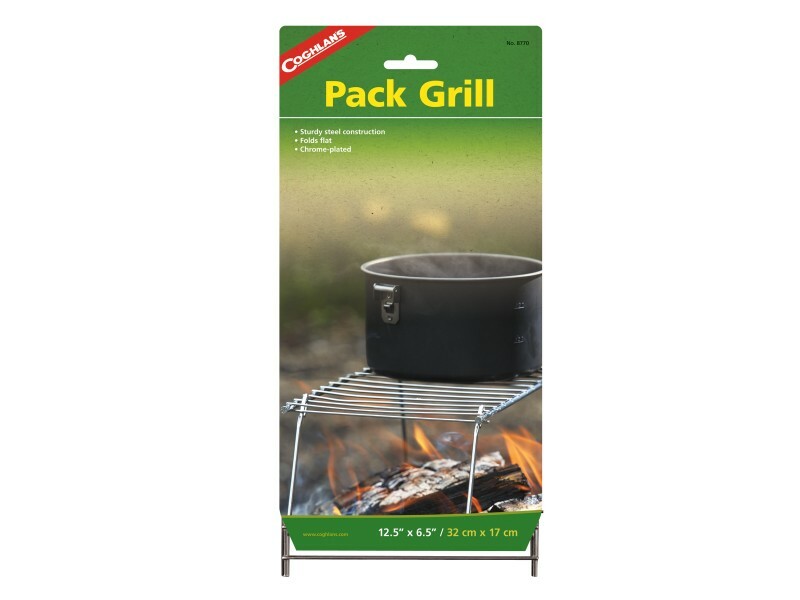 This is a foldable grill on four legs that you place over you campfire. 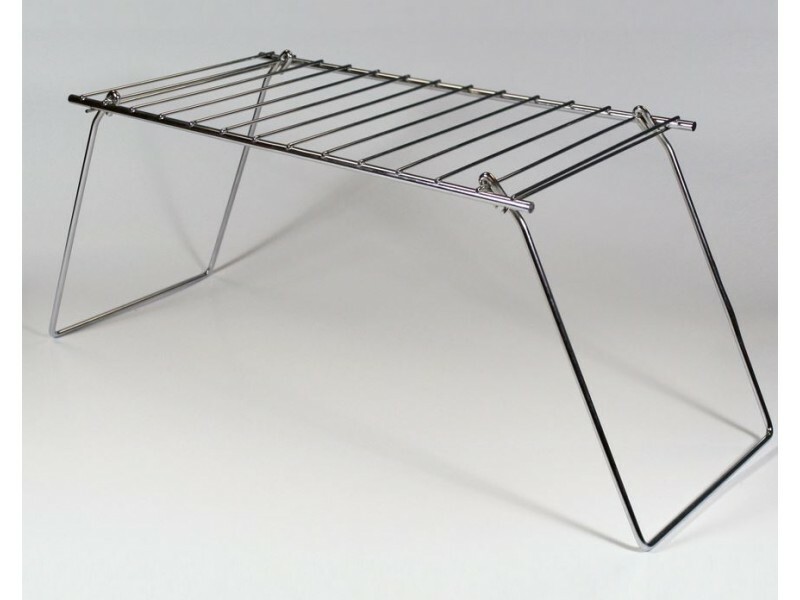 It is made of quality steel for durability and chrome plated for a quick and simple clean up . It is sturdy enough to support a large pot. When you are ready to move on to your next adventure the Coghlan's Pack Grill folds flat for easy storage. This is a great addition for any backpacker.